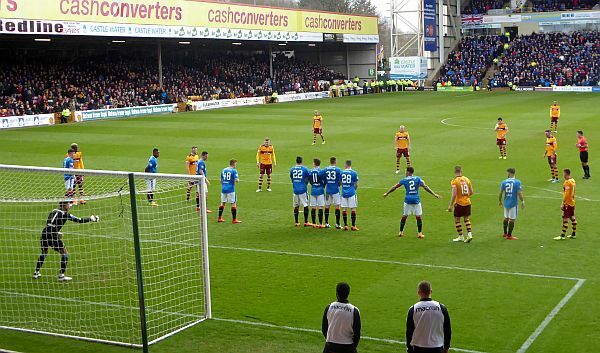 Game three of the new Premiership season has Rangers visiting Fir Park for an early lunchtime kick-off on Sunday. Motherwell have yet to earn a league point, this would be an ideal time to break the duck. Last week's Betfred win over Livingston went some way to lift the spirits after the losses to Hibs and Hamilton but the fact remains that we have scored only once in four and a half hours of football. The news that Ryan Bowman has trained all week and is available for selection on Sunday must increase the hope of us finding the net. Allan Campbell and Chris Cadden were selected again for the national U21 squad and given that confirmation of their contribution to our midfield we can assume they will be on duty on Sunday. Peter Hartley did himself no favours with his ill-considered comments about our recent encounter with Rangers and regardless of his well-worded apology he is bound to be the focus of the visiting fans. Along with his fellow defenders he will have to cope with the latest addition to the blue ranks. Kyle Lafferty is likely to play some part in the visiting attack after his transfer from Hearts. He'll fill the gap caused by the bad injury to Jamie Murphy but Morelos may be preferred at the start. The introduction of Steven Gerrard in the manager's office has opened the door to a dozen imports. We'll get a look at a few new faces. Stephen Robinson was in his usual upbeat mood in Thursday's media conference. If he can send out his team full of self belief we may make a modest opening to our league account after a 1-1 draw.